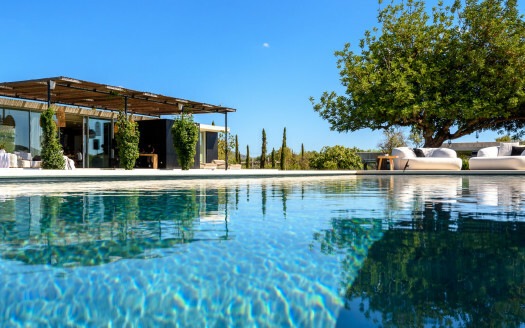 A magical luxury finca to rent in the wild north of Ibiza – a place for relaxation and peace. 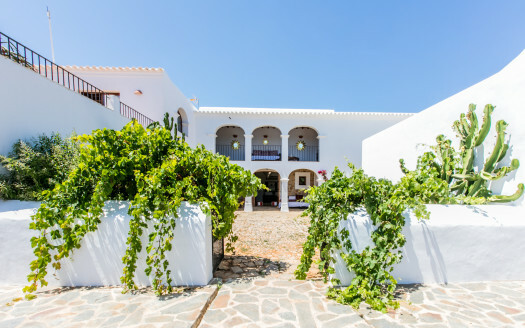 This 500 years old farm house has been renovated with loving, carrying it into the modern age while preserving the authentic architecture and heritage. A place for relaxation and peace. Independent double bedroom with an en-suite bathroom. Spread over nearly a 100,000 sqm of pristine land, the property strikes a perfect balance between natural indigenous flora, organic farmstead and delighting gardens. Large swimming pool & Spa. A large parking holding up to 20 vehicles. Underfloor heating & AC in every room.